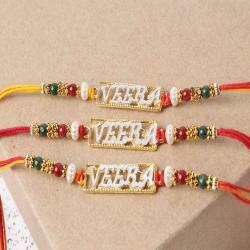 Product Consists: Alluring Designer Pack of Three Rakhi nicely tied on a designer Card. 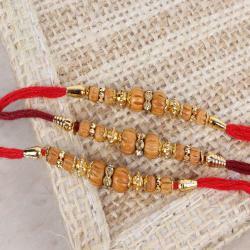 You need special Rakhi to impress your all bhaiya with the simplicity then, this rakhi threads will surely steal the show this Rakshabandhan. Elegant rakhi thread which is skillfully crafted on a thread inspired by the beautiful bond between a brother and a sister. 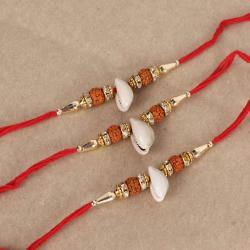 It is decked with fancy adornments along with beads at both ends. 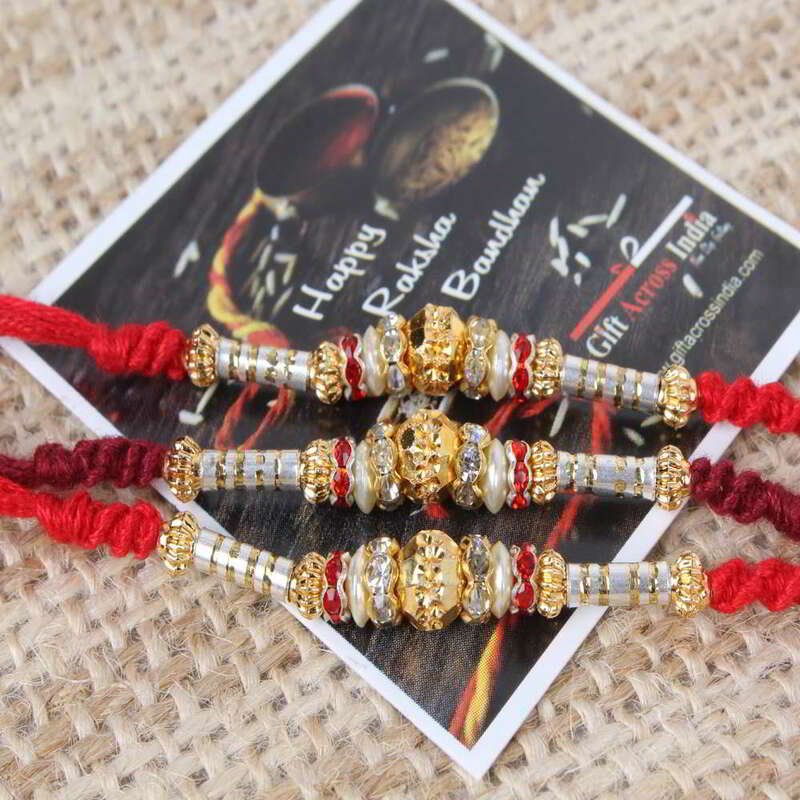 A beautiful rakhi thread beautified with decorations. 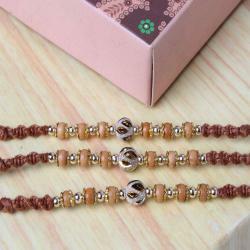 Show your love to your brother with this exquisite rakhi. 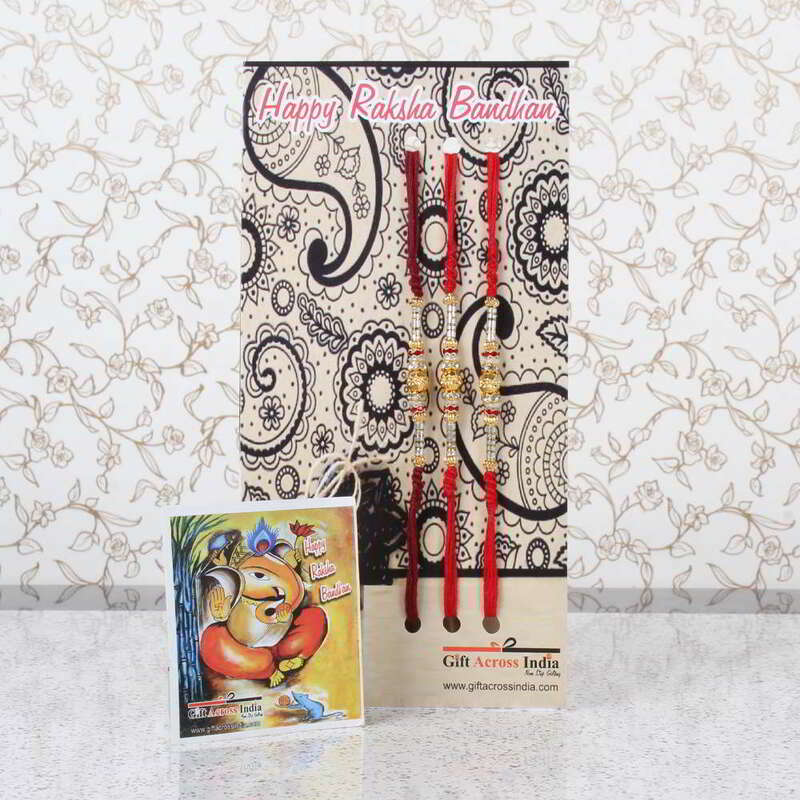 Product Includes: Alluring Designer Pack of Three Rakhi nicely tied on a designer Card.